EOC came and went a little too quickly for me. Despite being a bit unsure of my physical shape coming in to the championship, I felt confident I could make some good performances during the week. 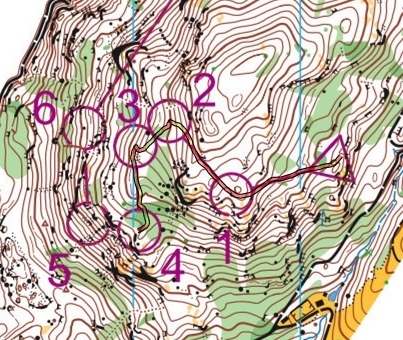 I had a quite tough programme planned, running every race except the Sprint Relay. The first race was the individuel Sprint, which I was looking forward to a lot, having a silver medal from two years ago to defend. However, this was going to be a completely different type of sprint, and a type that probably would suit me a bit less. The qualifier was no problem. A good technical performance and nice steady pace. 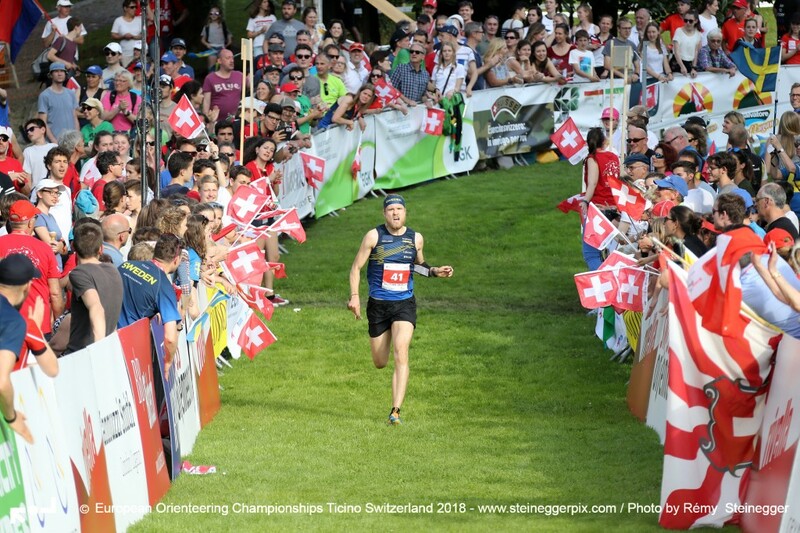 In the final I felt quite slow, I don’t know if it was the heat or me being tired from the morning, but I definitly lacked that extra kick in my legs which is always useful in a sprint race. After a decent technical performance I finished in 10th position, which I am quite satisfied with. On a great physical day I might have been able to challenge for the medals, but not this day. I was really looking forward to the forest distances, but I didn’t get a chance to run any finals this year. After 4½ minutes into the Middle Qualifier I smashed my knee into a boulder (the boulder that was the 4th controll). After a quick look my leg I realised it was game over for me. Just beneath the knee cap there was a gaping wound, and I could see the top of my tibia bone beneath all blood. Nothing else to do than try to get to a hospital as quick as possible and get some stitches done. A big thanks to Vincenzo for helping me out of the forest! After my injury I had one full week where I tried to move as little as possible, but that gets frustrating quickly, so I dusted off my roller skis (the only training I could think off that doesn’t involve knee-bending) and started to train a bit. It is surprising how fast you get used to unfamiliar training forms, both physically and mentally. In the beginning it was tough, with sore muscels, a lot of blisters in my hands, and getting bored of the monotonous movement, but after only a few days I was feeling stronger, my hands had gotten used to the poles, and I am even starting to look forward to my roller ski sessions. After I removed the stitches last week I am slowly starting to run again. All sessions so far has been an absolute disaster, but it gets better each time. I am very happy that I am able to run at all only a few weeks after the injury, and I’m lucky no bones or tendons were injured. 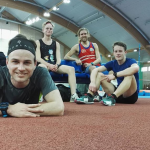 I will be able to run the Swedish Sprint Champs this weekend, and our WOC test races the week after that, but I am very unsure whether I will be able to perform at a high level or not (but to be honest, probably not).